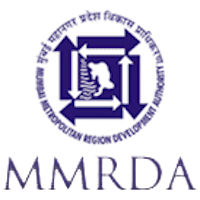 Online Application Details for Mumbai Metropolitan Region Development Authority MMRDA Recruitment of 2 Executive Engineer and 3 Deputy Engineer is given below. Application form and duly attested documents are to be sent to Administrative Officer, Mumbai Metropolitan Region Development Authority, New Building, 8th Floor, Bandra-Kurla Complex, Bandra (East), Mumbai – 400 051. In envelope super scribed with 'Application for the Post of Post Name'.